Local man stands in the deep. sticky. muddy water of a rice paddy. 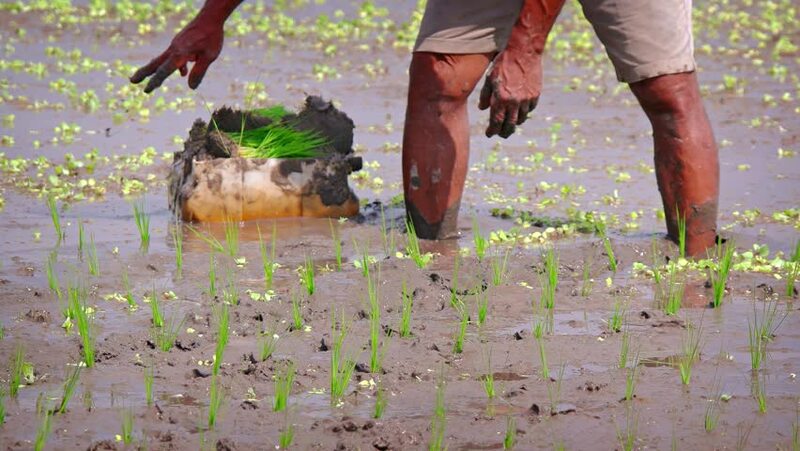 planting young shoots of rice plants in neat rows. on a farm in Bali. Indonesia. 4k00:16Dog walk around and look up to owner, wait for command or asking for snack. Legs of woman strolling on fallen leaves at park, dim light at blue hour. hd00:18Woman and dog playing in park. Beautiful Australian shepherd puppy 10 months old and his owner having fun in the park on a autumn sunny day. Girl training a young dog.